MSI GEFORCE RTX 2070 GPU The MSI GeForce RTX 2070 GAMING X delivers the ultimate PC gaming experience. 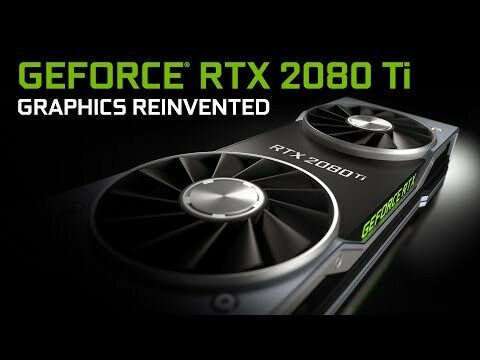 Powered by the new NVIDIA Turing GPU architecture and the revolutionary RTX platform, RTX graphics cards bring together real-time ray tracing, artificial intelligence, and programmable shading. This is a whole new way to experience games. MSI’s award-winning thermal design uses TORX 3.0 fans with double ball bearings to provide excellent air cooling. Inspired by advanced armor shielding with a classy black & white finish.The much anticipated return of MSI’s iconic dual fan GAMING series. Combining a mix of black and gunmetal grey with a classy brushed metal backplate, this masterpiece provides you premium design with magnificent and smooth RGB light effects on the outside. The new MSI GAMING card is designed to amaze you! Control Through your PC or Smartphone Put on a colorful display using the MSI Mystic Light utility. Choose your unique look from millions of available colors and provide a finishing touch with any of the predefined animated effects. A fresh new look & feel is just a few clicks away. Not feeling the hype or just prefer to go dark for a bit? Turning the LEDs off is just as easy. The premium sturdy backplate helps to strengthen the graphics card and complement the design to look better. ZERO FROZR technology Double Ball Bearings give the unique MSI TORX Fans 3.0 a strong and lasting core for years of smooth gaming. They also remain virtually silent while spinning under load, keeping your graphics card cool during intense and lengthy gaming sessions. ZERO FROZR technology stops the fans completely when temperatures are relatively low, eliminating all fan noise when no cooling is needed. When the heat is on during gaming, the fans will automatically start spinning again to keep your powerhouse cool.